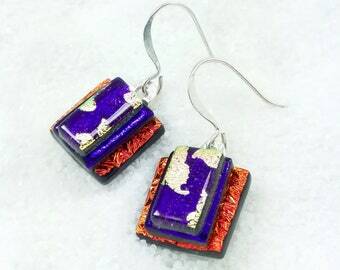 Dichroic pendants NEVER go out of style! They are always fun, trendy, unique and oh so beautiful! This unique piece has beautiful colors of pinks, golds, black and oranges! There is even a feminine white floral decal that is fused to the top! 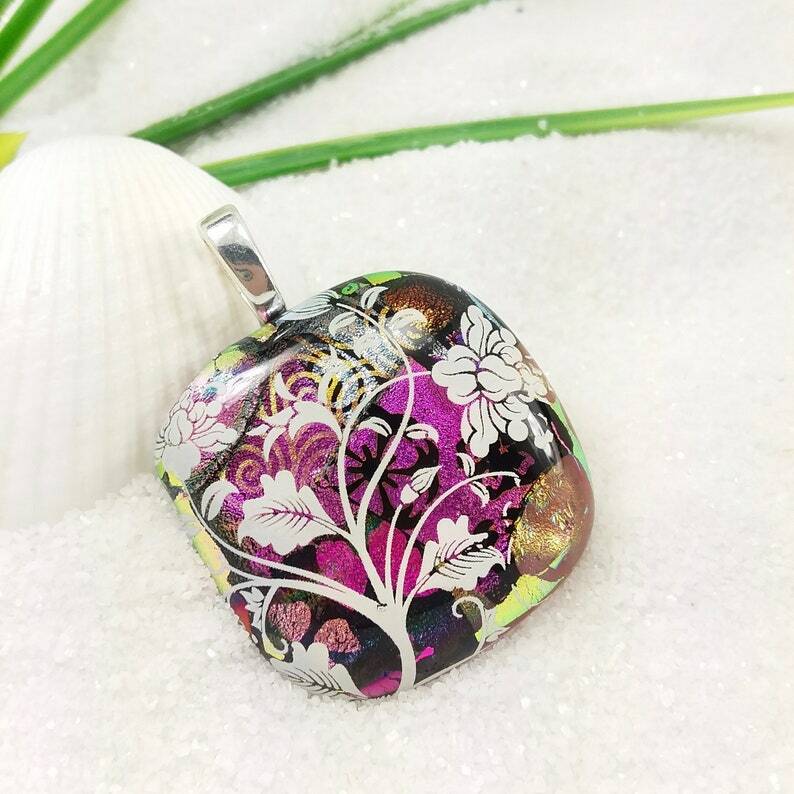 So very pretty with a silver plated bail that is ready for your chain or cord. (not included).